Certified.4X4 HEMI 5.7L w/ Heated Seats & Steering Wheel & Power Sunroof. Premium Cloth Bucket Seats,Heated Seats & Steering Wheel,Power 10-Way Driver Seat, Class IV Receiver Hitch,ParkSense Front/Rear Park Assist System, ParkView Rear Back-Up Camera, Certified. Bright White Clearcoat 2017 Ram 1500 Big Horn 4WD 8-Speed Automatic HEMI 5.7L V8 Multi Displacement VVT Remote Start, CarFax One-Owner, 115V Auxiliary Power Outlet, 8.4 Touchscreen Display, Air Conditioning ATC w/Dual Zone Control, Big Horn Regional Package, Bucket Seats, Charge Only Remote USB Port, Delay-off headlights, Folding Flat Load Floor Storage, Full Length Upgraded Floor Console, Fully automatic headlights, Integrated Voice Command w/Bluetooth, Power Lumbar Adjust, Rear 60/40 Split Folding Seat, Wheels: 20 x 8 Aluminum Chrome Clad.Recent Arrival! Odometer is 5117 miles below market average!FCA US Certified Pre-Owned Details: * Includes First Day Rental, Car Rental Allowance, and Trip Interruption Benefits * Powertrain Limited Warranty: 84 Month/100,000 Mile (whichever comes first) from original in-service date * Limited Warranty: 3 Month/3,000 Mile (whichever comes first) after new car warranty expires or from certified purchase date * Transferable Warranty * Warranty Deductible: $100 * Roadside Assistance * Vehicle History * 125 Point InspectionThis vehicle comes with SouthtownCare, a Southtown Exclusive. SouthtownCare consists of complimentary flat tire repair and SouthtownClean, a free car wash with every service visit. HEMI 4X4 w/ Heated Seats/Steering Wheel & Alpine Stereo.Certified.8.4 Touchscreen Display, 9 Alpine Speakers w/Subwoofer, Air Conditioning ATC w/Dual Zone Control, Class IV Receiver Hitch, Compass, LED Bed Lighting, ParkSense Front/Rear Park Assist System, ParkView Rear Back-Up Camera, Power 10-Way Driver Seat, Power Heated Fold-Away Mirrors, Spray In Bedliner, Wheels: 20 x 8 Aluminum Chrome Clad. Black / Forest Green 2017 Ram 1500 Big Horn 4WD 8-Speed Automatic HEMI 5.7L V8 Multi Displacement VVT Remote Start, Clean CarFax, CarFax One-Owner, Recent Arrival! Odometer is 6042 miles below market average!FCA US Certified Pre-Owned Details: * 125 Point Inspection * Transferable Warranty * Limited Warranty: 3 Month/3,000 Mile (whichever comes first) after new car warranty expires or from certified purchase date * Powertrain Limited Warranty: 84 Month/100,000 Mile (whichever comes first) from original in-service date * Vehicle History * Includes First Day Rental, Car Rental Allowance, and Trip Interruption Benefits * Warranty Deductible: $100 * Roadside AssistanceThis vehicle comes with SouthtownCare, a Southtown Exclusive. SouthtownCare consists of complimentary flat tire repair and SouthtownClean, a free car wash with every service visit. HEMI w/ Heated Seats/Steering Wheel & Navigation.Certified. 8.4 Touchscreen Display, Air Conditioning ATC w/Dual Zone Control, Anti-Spin Differential Rear Axle, Bucket Seats, Charge Only Remote USB Port, Class IV Receiver Hitch, Compass, Folding Flat Load Floor Storage, Full Length Upgraded Floor Console, GPS Navigation, LED Bed Lighting, ParkSense Front/Rear Park Assist System, ParkView Rear Back-Up Camera, Power 10-Way Driver Seat, Power Lumbar Adjust, Premium Cloth Bucket Seats, Rear 60/40 Split Folding Seat, Trailer Brake Control, Wheels: 20 x 8 Aluminum Chrome Clad. granite crystal metallic clearcoat 2017 Ram 1500 Big Horn 4WD 8-Speed Automatic HEMI 5.7L V8 Multi Displacement VVT Remote Start, Clean CarFax, CarFax One-Owner, 115V Auxiliary Power Outlet,Recent Arrival! Odometer is 3228 miles below market average!FCA US Certified Pre-Owned Details: * Includes First Day Rental, Car Rental Allowance, and Trip Interruption Benefits * Warranty Deductible: $100 * Roadside Assistance * Vehicle History * Transferable Warranty * 125 Point Inspection * Powertrain Limited Warranty: 84 Month/100,000 Mile (whichever comes first) from original in-service date * Limited Warranty: 3 Month/3,000 Mile (whichever comes first) after new car warranty expires or from certified purchase dateThis vehicle comes with SouthtownCare, a Southtown Exclusive. SouthtownCare consists of complimentary flat tire repair and SouthtownClean, a free car wash with every service visit. HEMI 4X4 w/ Heated Seats, Alpine & Navigation.Certified.9 Alpine Speakers w/Subwoofer, Air Conditioning ATC w/Dual Zone Control, Bucket Seats, Charge Only Remote USB Port, Class IV Receiver Hitch, Folding Flat Load Floor Storage, Full Length Upgraded Floor Console, GPS Navigation, ParkSense Front/Rear Park Assist System, ParkView Rear Back-Up Camera, Power 10-Way Driver Seat, Power Heated Fold-Away Mirrors, Power Lumbar Adjust, Premium Cloth Bucket Seats, Rear 60/40 Split Folding Seat, Spray In Bedliner. Delmonico Red Pearlcoat 2017 Ram 1500 Big Horn 4WD 8-Speed Automatic HEMI 5.7L V8 Multi Displacement VVT Remote Start, Clean CarFax, CarFax One-Owner, 115V Auxiliary Power Outlet, Recent Arrival!FCA US Certified Pre-Owned Details: * Vehicle History * Powertrain Limited Warranty: 84 Month/100,000 Mile (whichever comes first) from original in-service date * Transferable Warranty * Warranty Deductible: $100 * 125 Point Inspection * Roadside Assistance * Includes First Day Rental, Car Rental Allowance, and Trip Interruption Benefits * Limited Warranty: 3 Month/3,000 Mile (whichever comes first) after new car warranty expires or from certified purchase dateThis vehicle comes with SouthtownCare, a Southtown Exclusive. SouthtownCare consists of complimentary flat tire repair and SouthtownClean, a free car wash with every service visit. Certified. 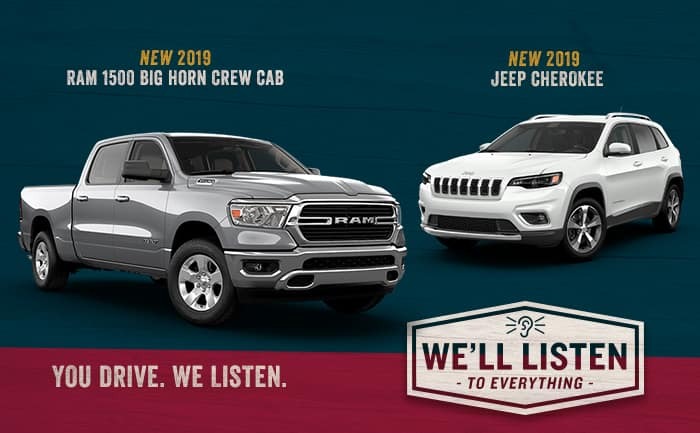 Maximum Steel Metallic Clearcoat 2017 Ram 1500 Big Horn 4WD 8-Speed Automatic EcoDiesel 3.0L V6 Remote Start, Clean CarFax, CarFax One-Owner, Heated Seats & Steering Wheel, 8.4 Touchscreen Display, 9 Alpine Speakers w/Subwoofer, Air Conditioning ATC w/Dual Zone Control, Anti-Spin Differential Rear Axle, Class IV Receiver Hitch, Integrated Voice Command w/Bluetooth, LED Bed Lighting, ParkView Rear Back-Up Camera, Power 10-Way Driver Seat, Wheels: 20 x 8 Aluminum Chrome Clad.Recent Arrival! Odometer is 1363 miles below market average! 19/27 City/Highway MPGFCA US Certified Pre-Owned Details: * Includes First Day Rental, Car Rental Allowance, and Trip Interruption Benefits * Warranty Deductible: $100 * Transferable Warranty * 125 Point Inspection * Vehicle History * Powertrain Limited Warranty: 84 Month/100,000 Mile (whichever comes first) from original in-service date * Roadside Assistance * Limited Warranty: 3 Month/3,000 Mile (whichever comes first) after new car warranty expires or from certified purchase dateThis vehicle comes with SouthtownCare, a Southtown Exclusive. SouthtownCare consists of complimentary flat tire repair and SouthtownClean, a free car wash with every service visit. Black Appearance Package w/ Heated Bucket Seats.Certified. Diamond Black 2019 Ram 1500 Big Horn/Lone Star 4WD 8-Speed Automatic HEMI 5.7L V8 Multi Displacement VVT Remote Start, Clean CarFax, CarFax One-Owner, HEMI 5.7L V8 Multi Displacement VVT, 3 Rear Seat Head Restraints, 3.92 Rear Axle Ratio, 4 Way Front Headrests, 9 Amplified Speakers w/Subwoofer, Anti-Spin Differential Rear Axle, Auto-Dimming Exterior Driver Mirror, Black Appearance Package, Black Exterior Truck Badging, Black Headlamp Bezels, Black Interior Accents, Blind Spot & Cross Path Detection, Body Color Door Handles, Body Color Front Bumper, Body Color Rear Bumper w/Step Pads, Bucket Seats, Center Console Parts Module, Class IV Receiver Hitch, Compass, Deluxe Cloth Bucket Seats, Dual Exhaust w/Black Tips, Exterior Mirrors Courtesy Lamps, Exterior Mirrors w/Memory, Exterior Mirrors w/Supplemental Signals, Front LED Fog Lamps, Front Seat Back Map Pockets, Full Length Floor Console, Grille B/Color Outline 1 Texture 2, Heated Front Seats, LED Reflector Headlamps, LED Taillamps, Manual Adjust 4-Way Front Passenger Seat, Power 4-Way Driver Lumbar Adjust, Power 8-Way Driver Seat, Power Heated Fold-Away Mirrors, Power-Folding Mirrors, Premium Lighting Group, Protection Group, Rear 60/40 Folding Seat, Telescoping steering wheel, Tilt steering wheel, Tow Hooks, Wheels: 20 x 9 Cast Aluminum Black.Recent Arrival!FCA US Certified Pre-Owned Details: * Includes First Day Rental, Car Rental Allowance, and Trip Interruption Benefits * Powertrain Limited Warranty: 84 Month/100,000 Mile (whichever comes first) from original in-service date * Limited Warranty: 3 Month/3,000 Mile (whichever comes first) after new car warranty expires or from certified purchase date * Warranty Deductible: $100 * Transferable Warranty * Roadside Assistance * 125 Point Inspection * Vehicle HistoryThis vehicle comes with SouthtownCare, a Southtown Exclusive. SouthtownCare consists of complimentary flat tire repair and SouthtownClean, a free car wash with every service visit. Crew Cab 5.0L V8 w/ Navigation & Sport Appearance.Front bucket Heated Seats.Class IV Trailer Hitch Receiver, White 2016 Ford F-150 XLT 4WD 6-Speed Automatic Electronic 5.0L V8 FFV Remote Start, 4WD, 10-Way Power Driver's & Passenger Seats, 110V/400W Outlet, 8-Way Power Driver's Seat, ABS brakes, Accent-Color Step Bars, Auto-Dimming Rear-View Mirror, Black Billet Style Grille w/Body-Color Surround, Body-Color Door & Tailgate Handles, Body-Color Front & Rear Bumpers, Box Side Decal, CD player, Compass, Delay-off headlights, Electronic Stability Control, Equipment Group 302A Luxury, Fully automatic headlights, Illuminated entry, Leather-Wrapped Steering Wheel, LED Box Lighting, Low tire pressure warning, Power Glass Heated Sideview Mirrors, Power-Adjustable Pedals, Power-Sliding Rear Window, Radio: Single-CD w/SiriusXM Satellite, Rear Under-Seat Storage, Rear View Camera w/Dynamic Hitch Assist, Rear Window Defroster, Remote keyless entry, Remote Start System, Reverse Sensing System, Spray-In Bedliner (Pre-Installed), SYNC 3, SYNC Voice Recognition Communications, Telescoping steering wheel, Tilt steering wheel, Traction control, Voice-Activated Navigation, XLT Sport Appearance Package.Recent Arrival!Awards: * 2016 KBB.com Brand Image AwardsThis vehicle comes with SouthtownCare, a Southtown Exclusive. SouthtownCare consists of complimentary flat tire repair and SouthtownClean, a free car wash with every service visit. Voice-Activated Navigation,Ventilated front seats,Heated Front Seats, Heated rear seats, Heated Steering Wheel, BLIS Blind Spot Information System,Gray 2015 Ford F-150 4WD 6-Speed Automatic Electronic EcoBoost 3.5L V6 GTDi DOHC 24V Twin Turbocharged Remote Start, Clean CarFax, CarFax One-Owner, 4WD, 10-Way Power Driver's & Passenger Seats, 110V/400W Outlet, 2nd Row Heated Seats, 4x4 FX4 Off-Road Decal, Automatic High Beam w/Rain-Sensing Wipers, Chrome 3-Bar Style Grille w/Chrome Surround, Chrome Angular Step Bars, Chrome Door Handles w/Body-Color Bezel, Chrome Skull Caps on Exterior Mirrors, Class IV Trailer Hitch Receiver, Equipment Group 502A Luxury, Exterior Parking Camera Rear, Front & Rear Off-Road Tuned Shock Absorbers, FX4 Off-Road Package, Hill Descent Control, Lariat Chrome Appearance Package, Leather-Trimmed Bucket Seats, LED Side-Mirror Spotlights, Power Glass Sideview Mirr w/Chrome Skull Caps, Power passenger seat, Power Tilt/Telescoping Steering Column w/Memory, Quad Beam LED Headlamps & Taillamps, Radio: Sony Single CD w/HD & SiriusXM Satellite, Remote Start System, Reverse Sensing System, Single-Tip Chrome Exhaust, Telescoping steering wheel, Tilt steering wheel, Universal Garage Door Opener, Wheels: 18 Chrome-Like PVD.Recent Arrival! Odometer is 23015 miles below market average!Awards: * Green Car Journal 2015 Green Car Technology Award * NACTOY 2015 North American Truck of the Year * 2015 KBB.com Brand Image AwardsBased on 2017 EPA mileage ratings. Use for comparison purposes only. 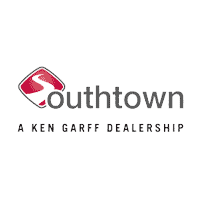 Your mileage will vary depending on how you drive and maintain your vehicle, driving conditions and other factors.This vehicle comes with SouthtownCare, a Southtown Exclusive. SouthtownCare consists of complimentary flat tire repair and SouthtownClean, a free car wash with every service visit.